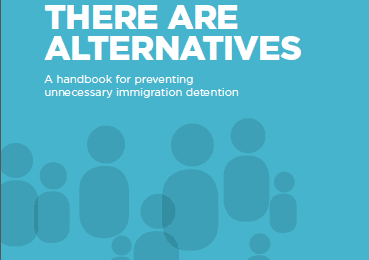 Preliminary findings from the International Detention Coalition’s region-wide research on the challenges and positive practices related to the use of immigration detention and the strengthening of the right to liberty with the adoption of alternative measures. Protecting the rights of migrant children in Central and North America. Examining the causes, legislation, policies, practices and challenges surrounding the issue. as part of the Project: “Derechos Humanos, Niñez y Migración en América Central y Norteamérica, Causas, Políticas, Prácticas y Desafíos”. 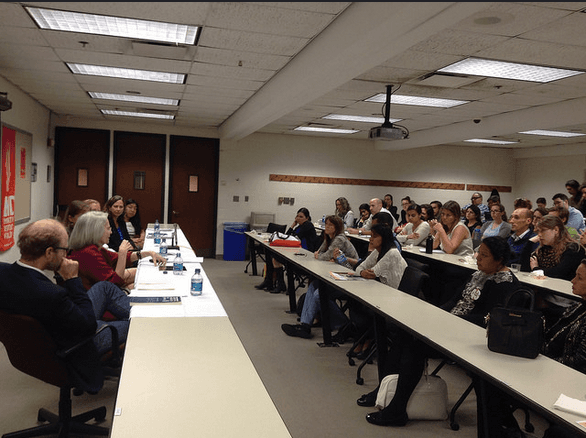 The International Migrants Bill of Rights Initiative and the Human Rights Institute of the Georgetown University Law Center, Asylum Access Ecuador, the U.S. Committee for Refugees and Immigrants (USCRI), International Detention Coalition, Centro de Derechos Humanos Fray Matías de Córdova A.C. and the Universidad Nacional de Lanús. 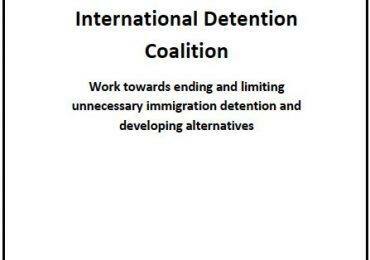 The IDC, in partnership with the Global Campaign to End Child Detention organised a reception to showcase recent reports on child and family detention. Recent reports in the US have revealed that there has been a radical increase in the detention of immigrant children and families. This is despite clear evidence that immigration detention poses serious, and potentially lifelong, physical, mental and developmental harms to children. Even very limited periods of detention in relatively humane conditions have been found to damage children’s psychological health and development. This event will featured findings from reports by the Detention Watch Network, the American Civil Liberties Union, the Women’s Refugee Commission, the Lutheran Immigration and Refugee Service, Justice Strategies, Grassroots Leadership and Human Rights Watch. It will also feature international advocates supporting the Global Campaign to End Immigration Detention of Children. Together, they will place these US trends in a global context and encourage states to cease the immigration detention of children consistent with international law obligations.